Wildest and Most Unusual Places to Travel in the U.S. Sometimes the simple, quirky things in life create the most interesting experiences. If you have a taste for things offbeat, off the beaten path, or off-cast, here are some unusual places to visit in the U.S. Sometimes the simple, quirky things in life create the most interesting experiences. There's plenty to see and do in the U.S. on a vacation, but if you have a taste for things offbeat, off the beaten path, or off-cast, these might interest you. Some of these places are in big cities and popular destinations, others are a bit out of the way, but have become destinations in their own right. You can work them in if you're in the area or taking a road trip. 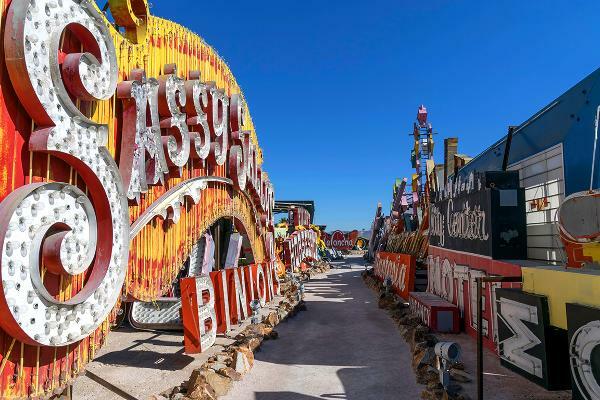 Here are some unusual places to visit in the U.S.: A neon boneyard, a burning city, a park in the sky, and a castle made of corn, to name just a few. This is where neon signs go to die. They are rescued by this non-profit museum which displays and restores them. 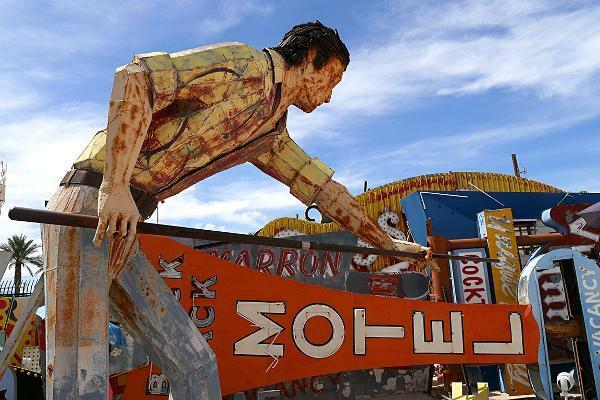 Take an hour-long interpreter-guided tour of the outdoor Boneyard, above, which has more than 200 signs. The place is so cool, people book their weddings there. For more information, visit NeonMuseum.org. 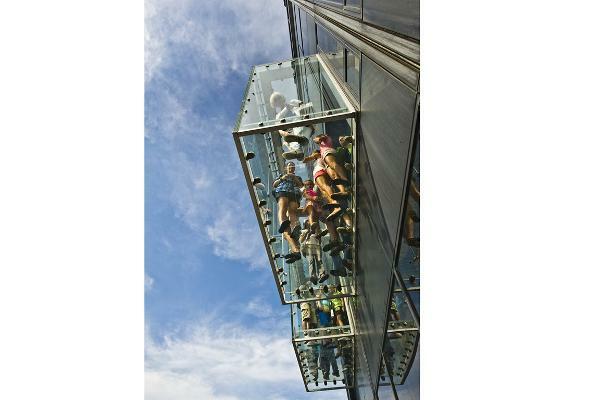 Test your grit 1,353 feet above Chicago on this glass ledge at the top of the eighth-tallest building in the world, with stunning views of four states for up to 50 miles. 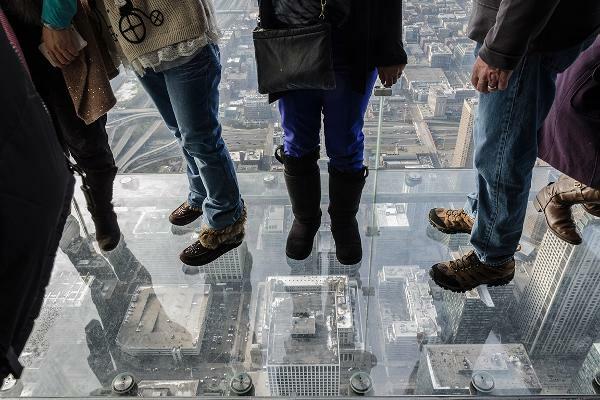 The glass boxes extend out 4.3 feet from the west side of Willis Tower (formerly Sears tower) on the 103rd floor, with unobstructed views of the city—straight down. The inspiration for The Ledge came from the hundreds of forehead prints the visitors left behind on windows of the Skydeck observation platform at the top of the tower every week. 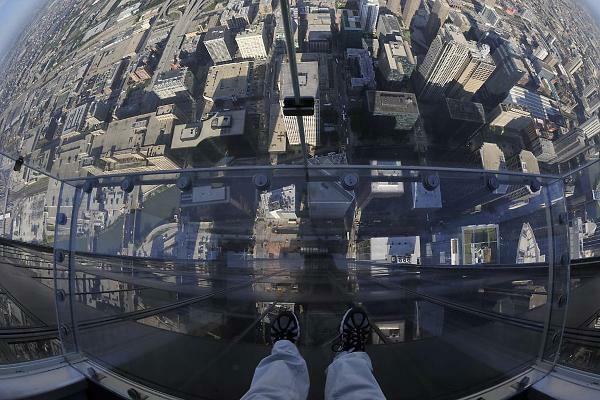 Visit Skydeck Chicago to learn about the windy city and hang out on The Ledge. Open 365 days a year. 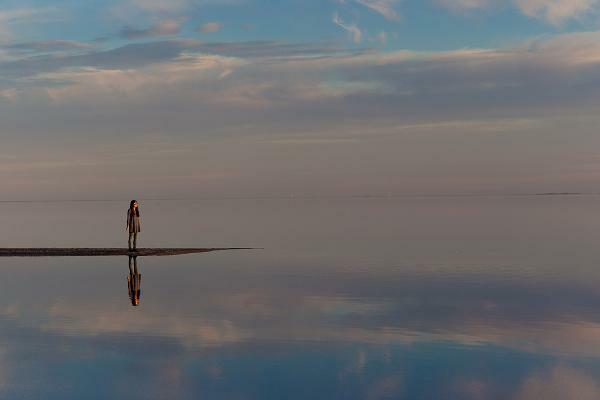 The Salton Sea, Mecca, Calif.
Geologists say this lake in southern California existed intermittently over the ages, when the Colorado River would spill over and flow into it. Evidence of an ancient shoreline suggests that what used to be Lake Cahuilla occupied the basin until about 300 years ago. In 1901, heavy flood waters broke through an engineered canal and nearly all the Colorado's flow rushed into the dry basin. 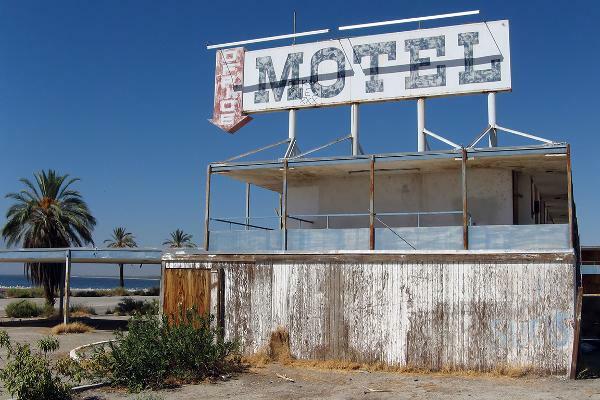 By the time the breach was closed, the present-day Salton Sea was formed. Resorts popped up around the lake in the 1960s, but the lake, which has no outlet, has been evaporating since. 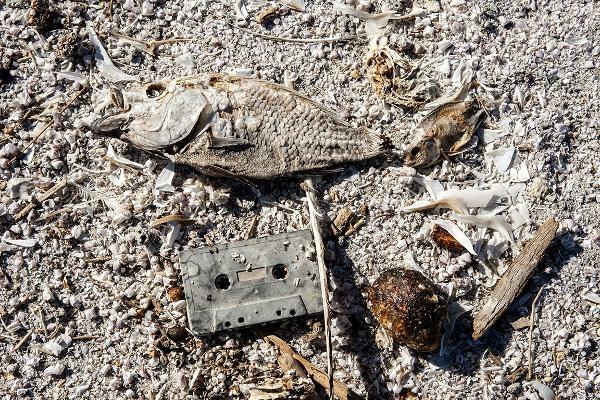 Though home to millions of migratory birds in winter, this weird saline lake is often strangely still and silent, and its shores scattered with abandoned relics and dead fish. Visit Salton Sea State Recreation Area for information. This collection of medical oddities, anatomical and pathological specimens, wax models, and antique medical equipment is part of The College of Physicians of Philadelphia, which goes back to 1787. The medical history museum displays its beautifully preserved collections in a 19th-century "cabinet museum" setting, emphasizing the history of diagnosis and treatment of disease. 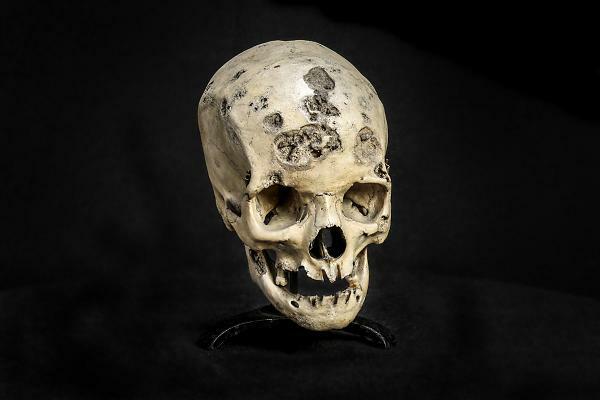 This is a syphilitic skull. 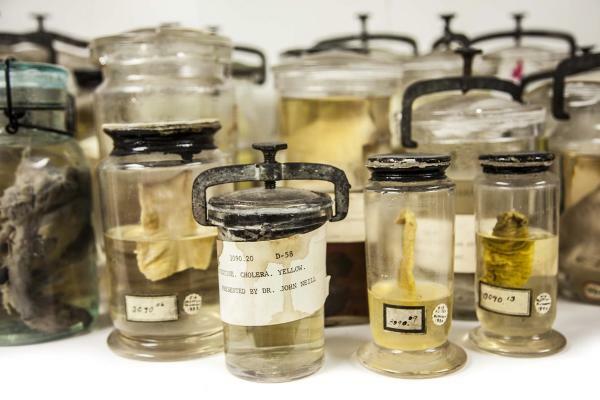 Some of the Mütter Museum's wet specimens (biological samples preserved in a fluid) date from the early 19th century and are still in their original fluid and container. 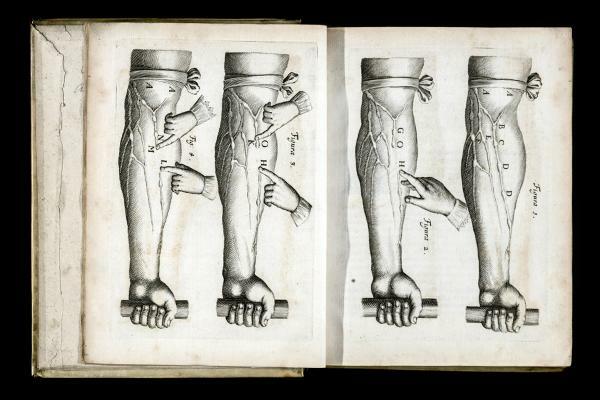 The Mütter Museum has 5,500 types of medical instruments and apparati spanning centuries and illustrating the advances made in medicine and science. Other highlights include: a cast and livers of conjoined twins Chang and Eng Bunker, pieces of Albert Einstein's brain, a collection of 139 human skulls, a giant megacolon and a 74-pound ovarian cyst. 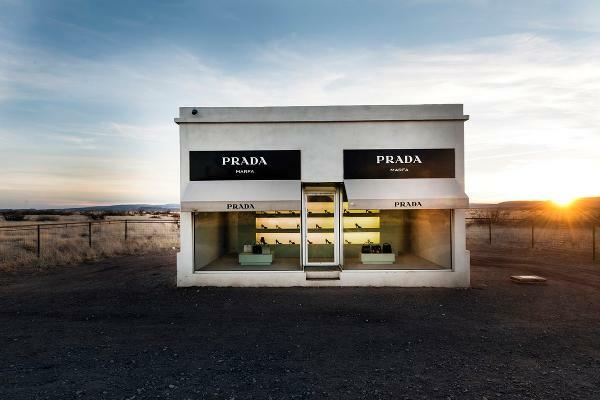 It may look like a Prada store, but it's actually a permanent art installation about a mile and a half outside Valentine, Texas, (pop. 134) by artists Elmgreen and Dragset. 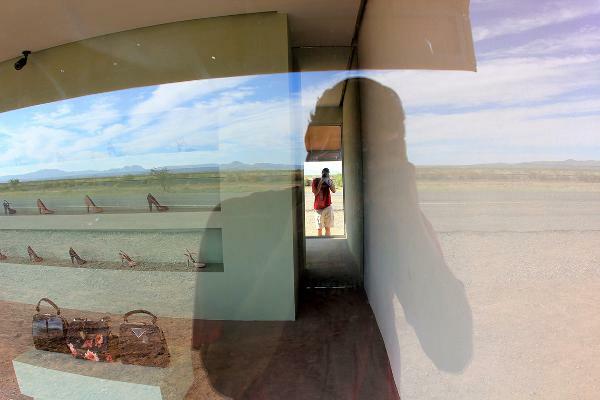 The sculpture, which sits alone in the vast west Texas desert, was intended to degrade into the landscape over time, but vandals broke in the night after the 2005 opening and stole bags and right-footed shoes. 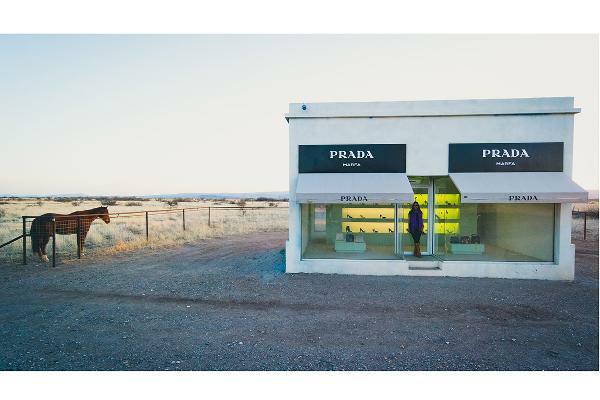 It was repaired, and today, Prada Marfa is a popular landmark, and is maintained by a non-profit arts organization in Marfa, Texas. It's not a store, and the door cannot be opened. 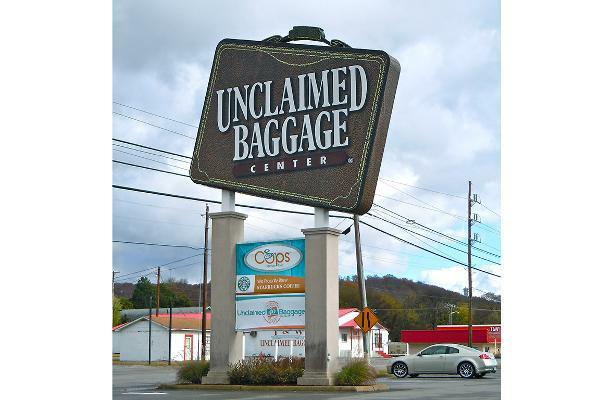 Unclaimed Baggage Center, Scottsboro, Ala.
Doyle Owens started out in 1970 with $300, buying unclaimed luggage from airlines and selling the stuff in an old rented house. 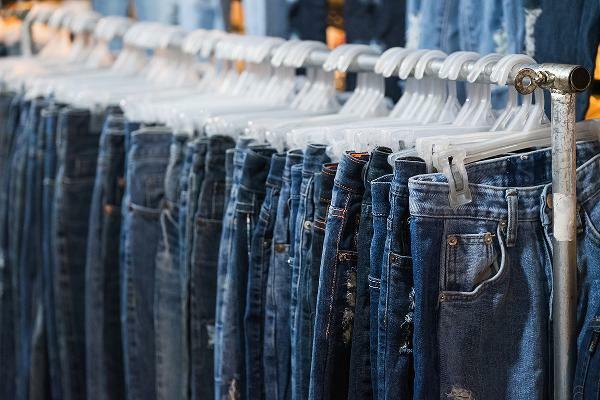 Besides racks and racks of jeans, shoes, and t-shirts, the store sells electronics, jewelry, sporting goods, books, and of course, luggage. 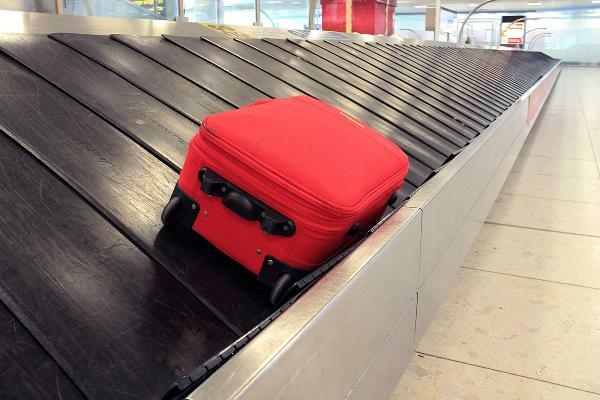 Shoppers at the Unclaimed Baggage Center have found everything from moose antlers and designer gowns to a Rolex watch and valuable artwork. The store's website says that money has been found in the hem of pants, inside socks, and the shoulder of a jacket. 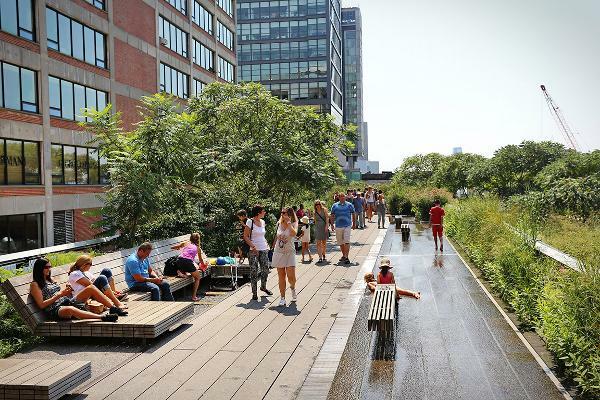 This 1.45-mile-long elevated linear park, greenway and rail trail was created on a historic freight rail line elevated above the streets on Manhattan's West Side in New York City. 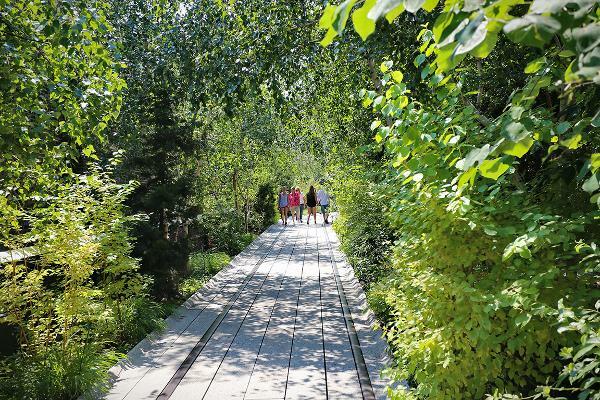 Stroll through this public park featuring gardens that are home to pollinators, migratory birds and other creatures in the heart of the city. See the views, enjoy a miniature forest of lush dogwoods, and check out the art exhibits. 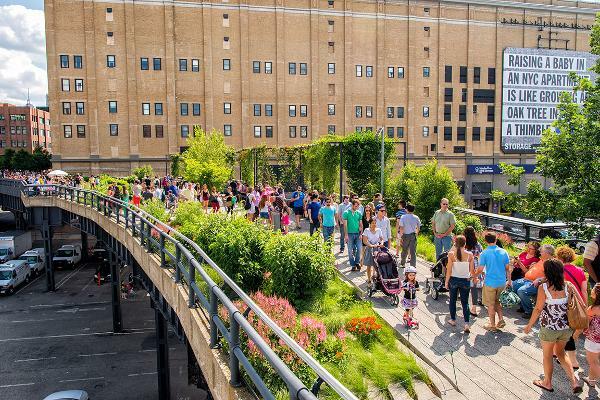 Highline Park has a calendar of events all summer long, with festivals, educational programs, entertainment and tours. Visit TheHighline.org for info. This former bustling coal town of over 27,000 people was gradually abandoned after a coal seam underground caught fire in 1962 and burned for decades, with smoke and steam coming up through the cracks in the streets. The government bought out the residents; today only seven remain, and the town is otherwise abandoned. Centralia became a curiosity to travelers for its crumbling, smoldering streets and "Graffitti Highway." Some of the areas are now private property, so if you go, check for updates, and obey "No Trespassing" signs. 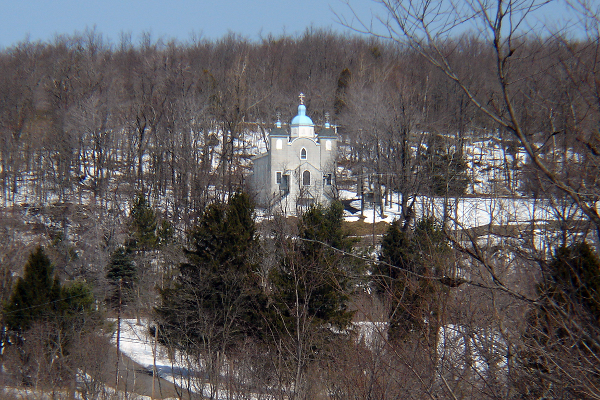 On a hillside overlooking Centralia, outside the fire, is the Assumption of the Blessed Virgin Mary, a Ukrainian Greek-Catholic Church. The church is still in use. 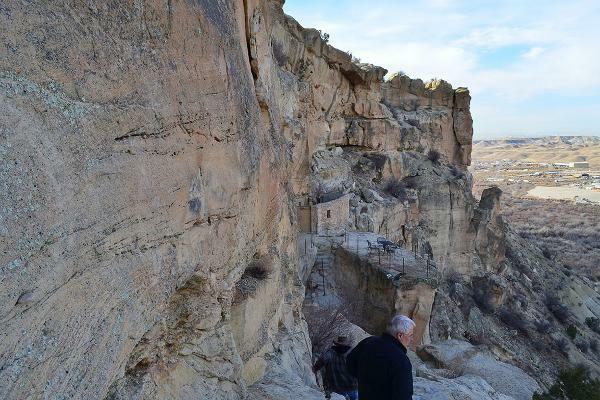 Spend a night or two in a cave house built into the vertical cliffs of sandstone, overlooking the La Plata river valley 300 feet below. 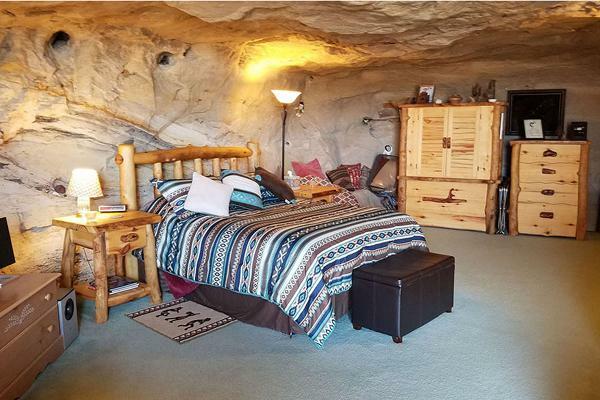 This unique inn puts you up in the cave, consisting of a master bedroom, living area, replica Native American kiva, dining area, and full kitchen and bathroom with rock walls incorporating a waterfall shower and Jacuzzi tub. Kokopelli's Cave is 70 feet below the surface, with the entrance in the cliff face. 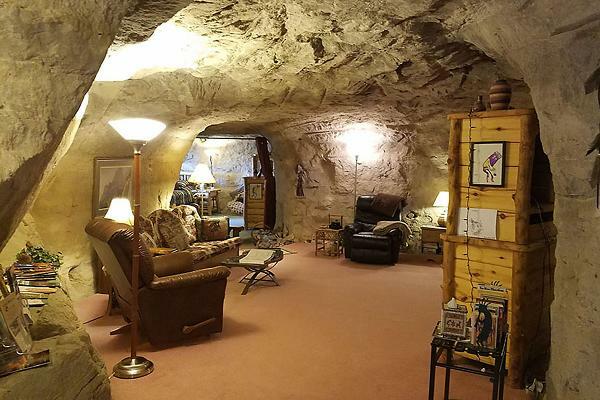 The temperature in the cave stays between 68° and 73° year around, even in the hot New Mexico summers. 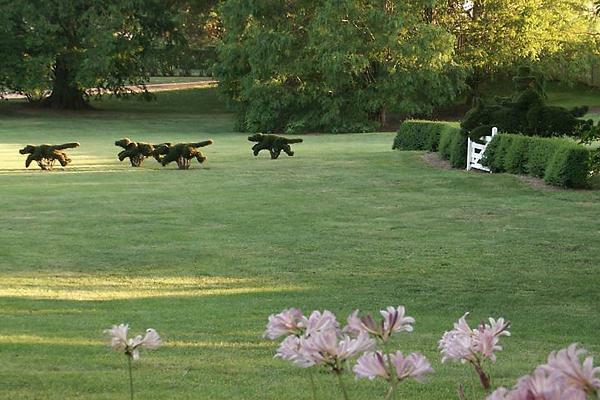 Ladew Topiary Gardens, Monkton, Md. 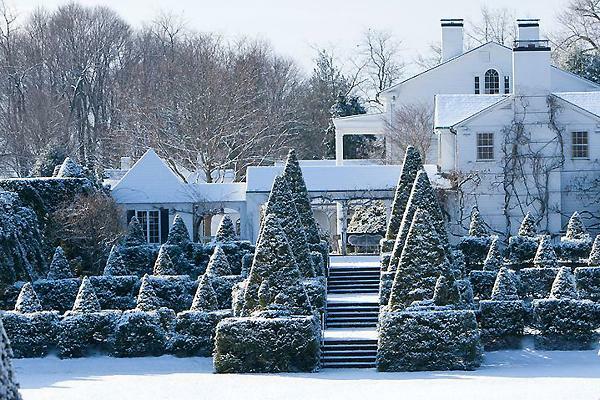 Harvey S. Ladew (1887-1976) purchased a 200-acre farm in 1929, and carved 22 acres of remarkable gardens and topiaries out of land previously used for crops and livestock. 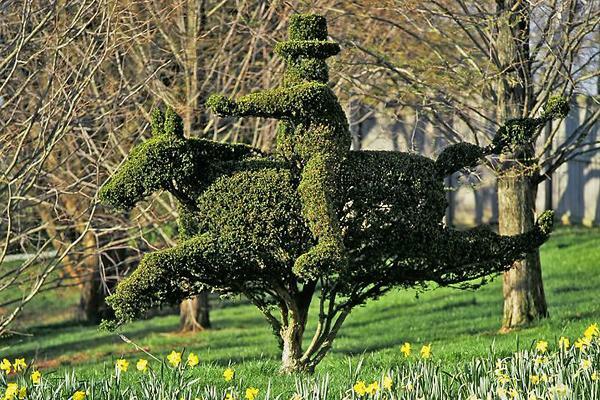 Besides gardening, Ladew had a passion for fox hunting, and his topiaries include a fox hunt, complete with horse and rider. Bubblegum Alley, San Luis Obispo, Ca. 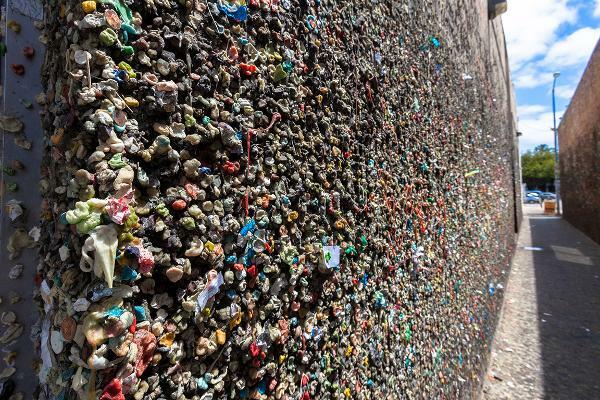 How a 70-foot-long alley in this southern California college town became caked with chewed gum is a question better left unasked. 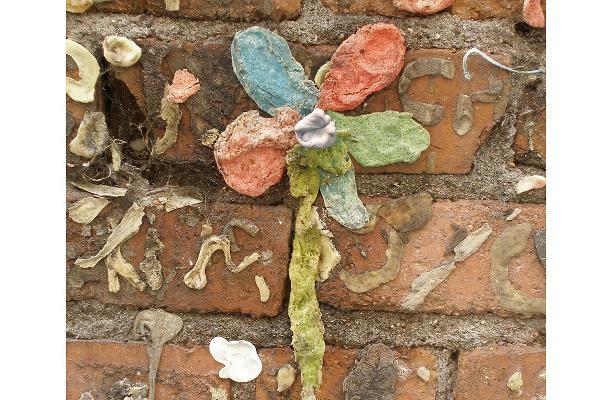 Wads of gum cover cover the walls of the alley 15 feet high in the 700 block of Higuera Street in downtown San Luis Obispo. It's been a bit of a controversy since the 1950s, but also a big tourist attraction. 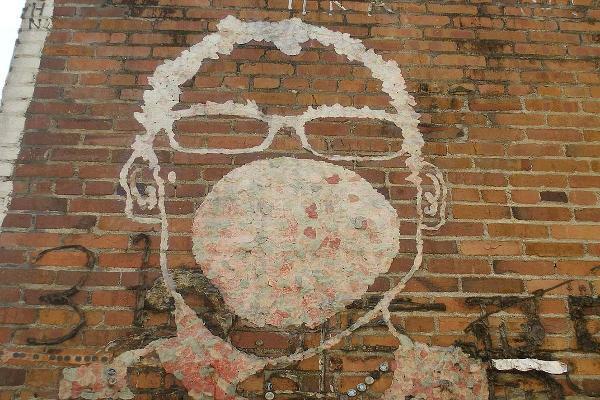 While some people find it pretty gross, others draw inspiration from it: artist Mat Hoffman made this self portrait of himself blowing a bubble high on the wall. It's made out of gum, of course. As if one gum wall weren't enough, there's also one in Pike's Place Market in Seattle: The Market Theater Gum Wall, so gum-wall lovers can make a pilgrimage to both. 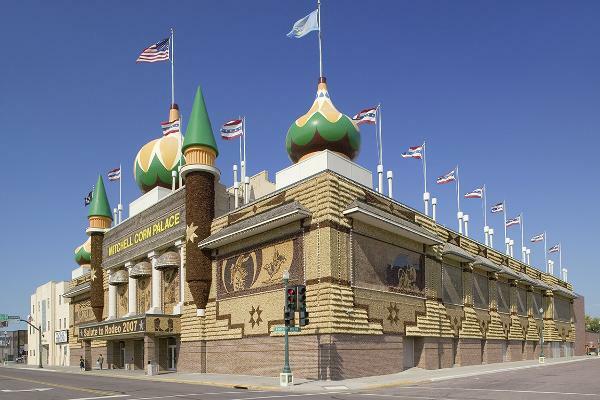 The Corn Palace, Mitchell, S.D. The good people of Mitchell, S.D. 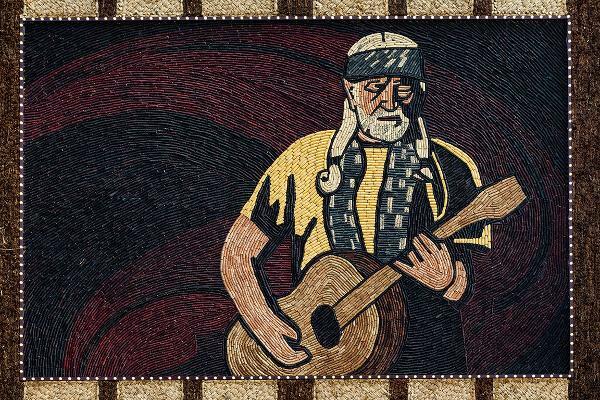 have been decorating their downtown arena with murals made of corn since 1892. Yes, real corn cobs. Each year they take it all down and put up new corn murals with a new theme. A different theme is chosen each year, and murals are designed to reflect that theme. 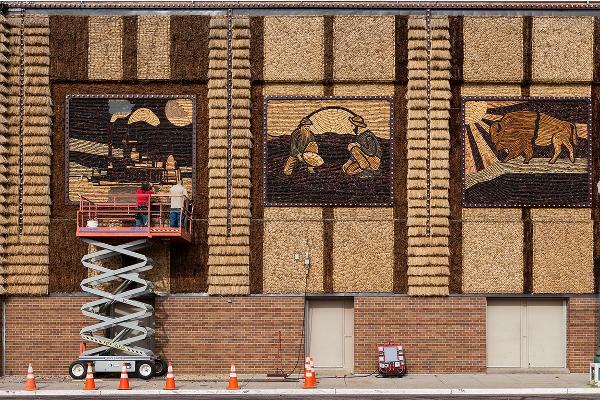 Ear by ear the corn is nailed to the Corn Palace to create a scene. Thirteen different colors of corn are used to decorate the building, which is used for sports and other events. The corn murals are stripped at the end of August and the new ones are completed by the first of October. See more photos at cornpalace.org. If you can't get there yourself, check out their live Corn Cam.